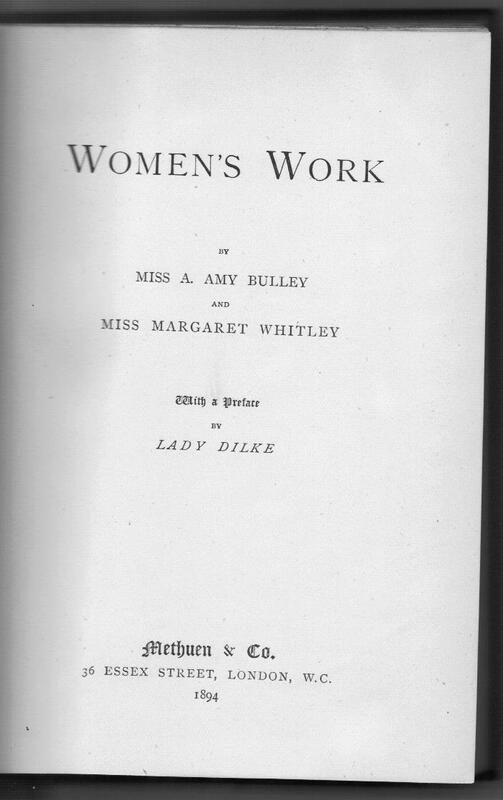 WOMEN’S WORK by Miss A. Amy Bulley and Miss Margaret Whitley. With a Preface by Lady Dilke. Published by Methuen in the Social Questions of the Day series, 1894. Amy Bulley (1852-1939) was an early student at Girton, Cambridge, going from there to Manchester, where she taught at Manchester High School for Girls and was involved in the campaign that eventually, in 1883, saw women allowed to sit for Owens College degrees. She then took a very active interest in women’s employement and the labour movement, becoming chair of the council of the recently-formed Manchester, Salford and District Trades Council, 1897-1906, investigating the dire conditions of the ‘sweated’ trades. 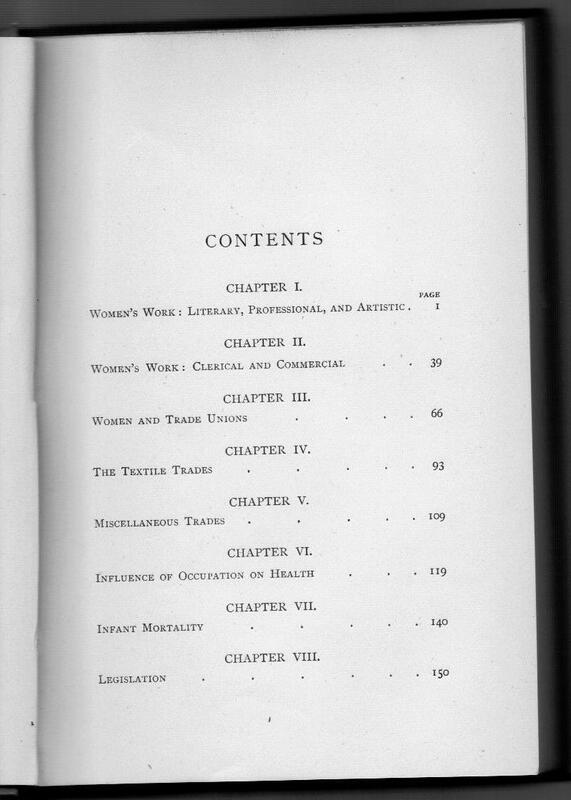 The book affords a comprehensive coverage of the new ‘white blouse’ employment open to women – to professions – such as medicine – and to clerical work – such as typewriting and post office work – as well as the trades and vocations with which they had been associated in the past. The authors include much discussion of conditions of employment and the rise of women’s trade unions. Women’s Work is a thorough piece of research – the authors do not shrink from using statistics and advocating the reforms they think necessary in the future. In good condition – some marginal pencil markings, showing how involved one previous reader has been in the subject. An unblinking view of the position of working women at the end of the 19th century. £55 plus postage. This entry was posted on August 7, 2012, 10:27 am and is filed under Book of the Week. You can follow any responses to this entry through RSS 2.0. You can leave a response, or trackback from your own site.